The Damask rose has been cultivated for thousands of years and is associated with the ancient city of Damascus (This capital city of Syria is said to be the oldest continuously inhabited city in the world, possibly from 6000 B.C.!) Damask roses are grown for perfume in North Africa and the Middle East and are an important cash crop in Iran, Bulgaria and Turkey. Their heavy scent is described as the quintessential rose fragrance; complex, fruity and rich. There are several groups of damask roses. The summer damasks bloom once a year, the autumn damasks twice yearly and the Portland Damasks bloom repeatedly. These hardy shrubs have flowers in whites and pinks and grow four to six feet tall (Portlands are shorter at three to four feet). Once blooming roses are hardier than repeat blooming because after the flowers come and go the shrub begins to harden off, not allowing nasty fungal diseases like black spot to penetrate. 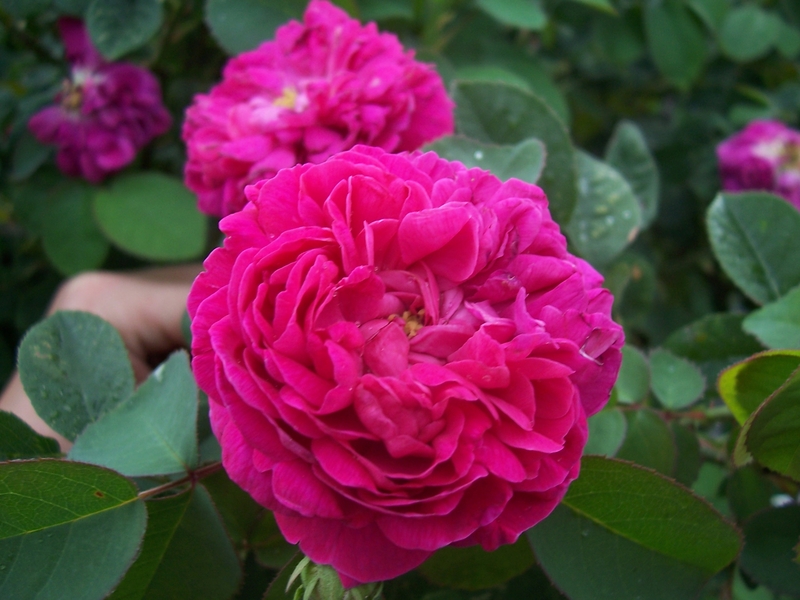 The Damask rose has been with us for a long time, wouldn’t you like to find out why? They sound wonderful. If they can make it in zone 5, that’s a tough rose!